When you are considering filing for bankruptcy as a way to gain a financial fresh start, you may hear some terms and phrases that you aren’t familiar with, particularly when it comes to the legal aspects of processing your case. To clarify some of these and help easy your stress and you prepare to file for bankruptcy, here and in a few additional parts of this blog, we will provide some straightforward definitions of some of the most commonly used bankruptcy terms. 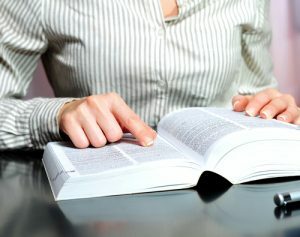 This bankruptcy glossary provides some easy-to-understand definitions of commonly used bankruptcy terms. For more info and trusted advice, contact us. If you have questions about your specific situation or would like to explore whether other debt relief options may be a better choice for you, you are encouraged to contact trusted Denver Bankruptcy Lawyer Arthur Lindquist-Kleissler. Automatic stay – An injunction or a court order that immediately goes into effect when a person files for bankruptcy. This court order effectively stops creditors from contacting or attempting to take any legal action against borrowers (like, for instance, by suing them, repossessing their property, foreclosing on their home or garnishing their wages). An automatic stay, however, cannot reverse some legal actions against the borrower that are already in place (for example, it cannot reverse an existing wage garnishment). Bankruptcy code – Federal bankruptcy law that specifically pertains to Chapter 11 cases (11 U.S.C. §§ 101-1330). Bankruptcy estate – All of the interests, assets and property that a person owns at the time he files for bankruptcy. Some property can be exempt from the bankruptcy estate (per state or federal bankruptcy exemptions), such as a borrower’s home, vehicle(s), work tools and some personal items. When borrowers jointly own assets with other people, these assets will usually be included in the bankruptcy estate. How the bankruptcy estate is handled/overseen (and whether any part of it is liquidated to pay off creditors) will depend on the nature of a person’s bankruptcy case, as well as his outstanding debts. Bankruptcy petition – The official documents filed with the court to initiate a bankruptcy case. Look for the second and third parts of this blog for some more easy-to-understand definitions of commonly used bankruptcy terms.